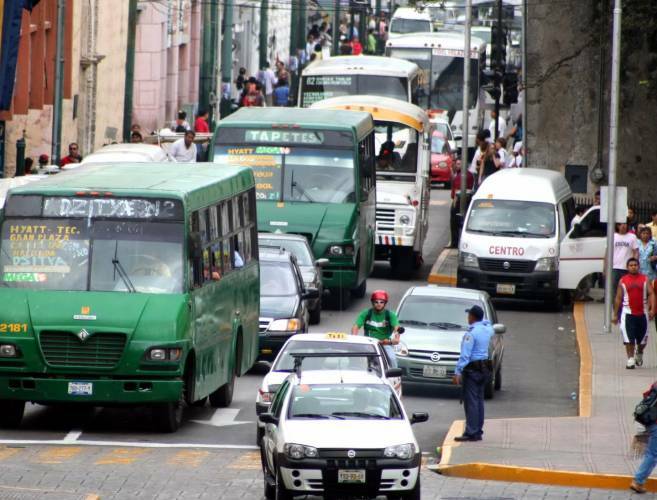 Public transport has become the “Achilles heel” for air quality in Merida, since it is responsible for generating 80 percent of the pollutants. The fleet of trucks and cars that belong to the public transport system are around eight thousand or so, and each vehicle generates about three kilos of carbon dioxide (CO2) for every 10 kilometers traveled, according to data from the Mexican Institute for Competitiveness (IMCO). This, coupled with their age, and that at least two out of 10 have more than nine years in use, indicates that the automotive system is not perfect and generates high amounts of soot. “Laws indicate that (public transport vehicles) should not exceed 10 years, approximately, depending on the conditions, because having lack of maintenance, they produce more pollutants and become thus the main source of pollutants,” said Francisco Ucán Santiago Vivas, head of environmental quality in the Ministry of Urban Development and Environment (Sedum) in Yucatan. The IMCO has found that cities with population over one million inhabitants are more vulnerable to accumulate a high rate of particles of greenhouse gases (GHGs), which becomes a dangerous factor for residents, since it contributes to respiratory illnesses. The Ministry of Urban Development and Environment has a verification program to check public transport twice a year; however it is apparently insufficient, since intensive vehicles services along with maintenance of engines and revisions must be permanent. Another pollutant factor caused by this sector is the noise, as the levels increase due to both higher traffic volumes and speeds.